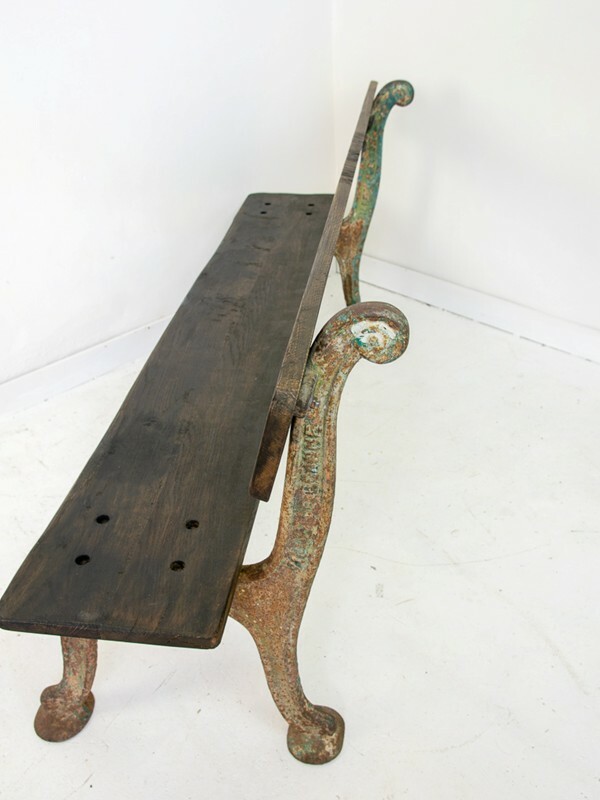 Reclaimed cast iron French park bench legs marked 'Ville de Roanne' early to mid 20th century, with new solid oak seat and back rest. Beautiful patination to the bench frame, high quality wood and craftsmanship. This bench is very solid and the wood will age nicely once exposed to the elements.